Yesterday was a really busy day as my son Ethan was lucky to be picked to play for AFS at the Brent IS/Powerade Soccer Festival. My day started at 4 am cooking cocktail hotdogs and spam to bring along for the game. I also prepped all the other stuff we would be bringing along which summed up to what looks like an out of town picnic. I packed a bag filled with extra shirts, socks, underwear, towels just in case. We got out of the house around 5:30am and dropped by our neighborhood 7-eleven for tube ice. It turns out that most of the convenience stores have sold out their ice. We were able to get ice at a 7-eleven outlet along the way. After that, I had our tire pressure checked just to be sure it'd be okay for our trip. The weather was relatively good, cloudy and windy but no rain. The drive from Las Piñas to Mamplasan was fast considering that I drove on the slow lane the entire length of the highway at a speed of 80kph. We got to Brent IS around 6:30am, which was great because parking was still very much available. Its was our first time in the Brent campus and we had ask the guards for directions every step of the way. The campus was well secured, security personnel was everywhere and there were surveillance camera's too. One thing that caught my attention as we went up the stairs from the basement parking was the comforting smell of cafeteria food which reminded me of my elementary school days. We did not find the cafeteria, but we managed to make our way to the track and field oval and found the AFS team tent. Yup, we were early as usual. We were the only ones at our team tent so we decided to walk around and take some photos. At the AFS Tent, we moved to the larger tent later. The Brent IS/Powerade Soccer Festival was a whole day event. Around 56 teams of Boys 14, Girls 14, Boys 12, Boys 10, Boys 8 and players 6 from various schools/clubs in Metro Manila who are members of the NCRFA participated in this event. 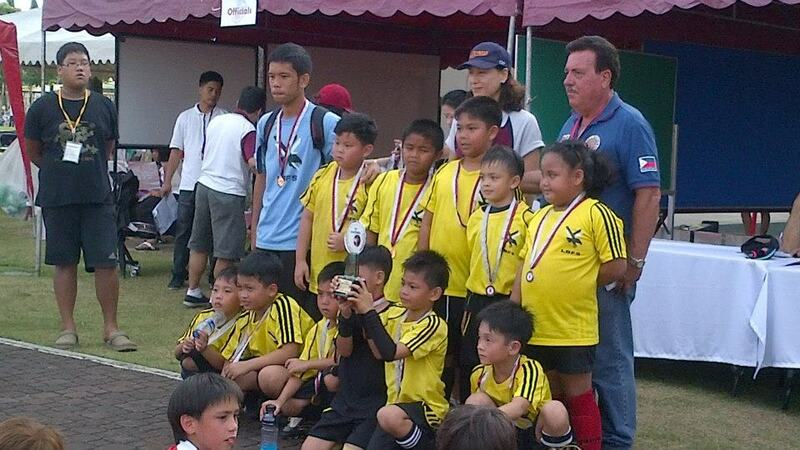 My son Ethan and his team belong to the Boys 8 category (Group B) and they were playing against Athletico Diliman, Learning Links, Los Baños FS, Manresa FC and Manila Japanese Football Club. The event started at 8:30am. All the teams were assembled at the oval for the opening ceremonies and immediately after, the games started. After 5 matches, our team made it to the semi finals and played against Los Baños FS while Makati FC Elite played against Manila Japanese FC. In the finals, Makati FC Elite vs. AFS for the championship while Manila Japanese FC and Los Baños FS fought for the 3rd place. The Championship trophy was bagged by Makati FC Elite, and AFS landing 2nd place. Los Baños FS took the 3rd spot leaving MJFC in 4th. 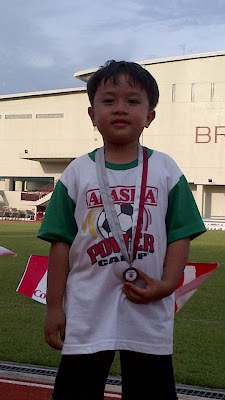 My son was happy with his medal and the experience he gained today. It was a pleasure to see all the other teams and play with them he says. He is inspired to further train to improve his skills as he certainly has a lot more to learn. The event was formally concluded around 4pm. 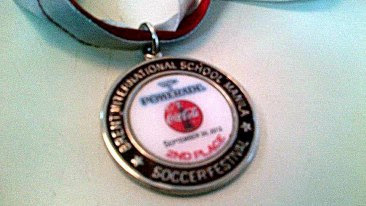 The Brent IS/Powerade Soccer Festival was a success. 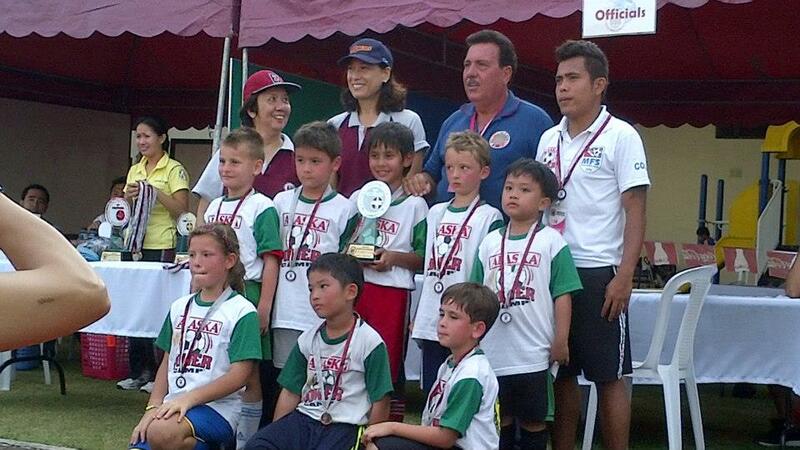 Our sincerest thanks to the organizers, Brent International School and Powerade (Coca-Cola) for a wonderful event. We hope and pray that our son would be able to take part in future Brent IS/Powerade Soccer Festivals to come.